John does not yet have a home page article. 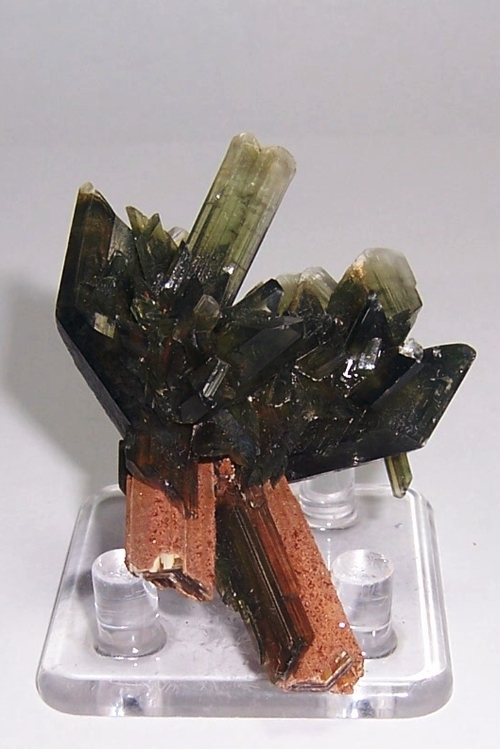 This page lists John's favourite minerals, localities and photos. All lists in alphabetical order. 8.5 x 7.3 x 6.5 cm. 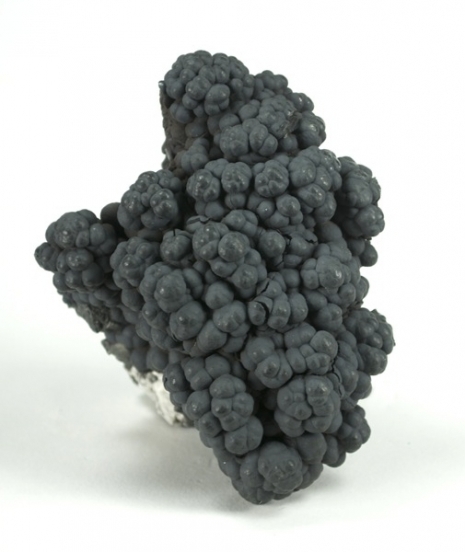 A very rich, rare and fine example of botryoidal pyrolusite from a classic German area. Nearly a floater, all sides of this sculptural piece resemble grape clusters. This is old-time material. Ex. Herb Obodda specimen, his label says Hesse-Nassau, a province of the Prussian Empire created in 1866. It probably dates to the late 1800s. 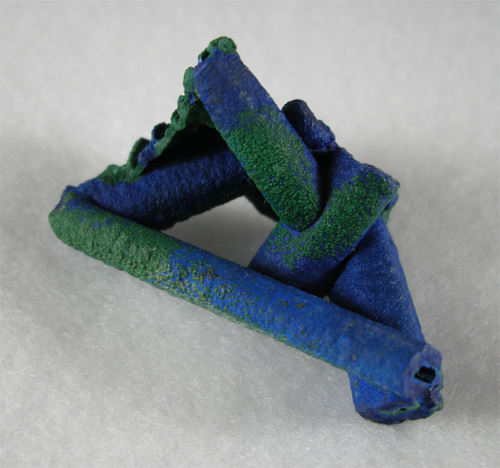 Azurite and Malachite epimorph after Selenite. This locality is known for these casts. Long cast in front is 4.5 cm. Photograph and collection of Bill Besse. 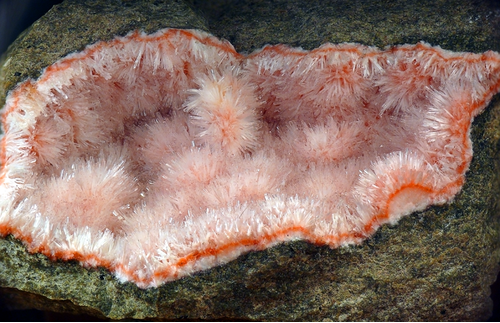 Very nice pink natrolite. Long needles are rare there. FOV 9cm. 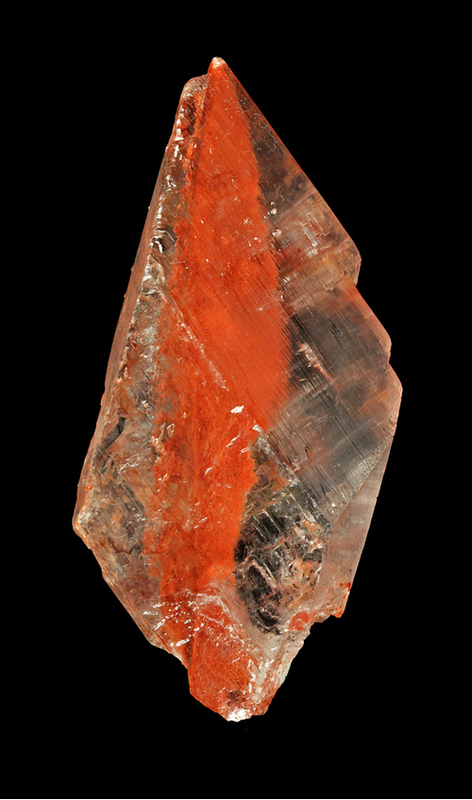 A large transparent gemmy colorless well formed gypsum crystal measuring 7.5 x 3.8 x 2.0 cm in size, this showing a red "veil" of hematite inclusions spanning the length of the crystal. The inclusion is quite striking making for an unusual and attractive specimen. The crystal is complete all around and damage-free. Ex Lloyd Tate collection. Elaterite. A hydrocarbon. A variety of bitumen on Baryte?. Strange specimen. Specimen is from the collection of the British Museum of Natural History #60855 (1975). Scale at bottom of image is an inch with a rule at one cm. 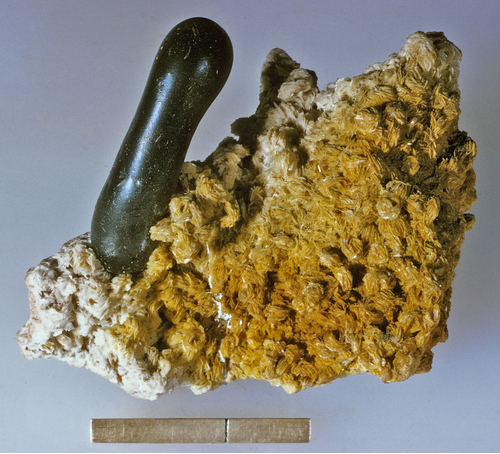 Classical specimen of Aragonite var. 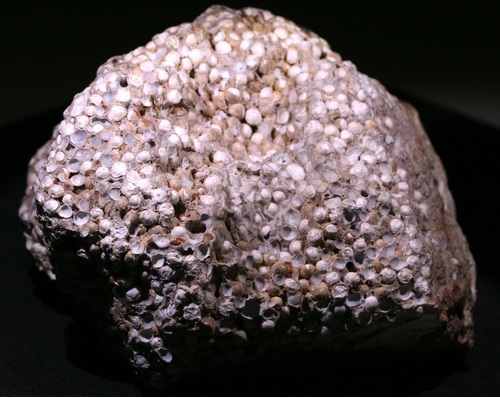 "cave pearls" or "Erbsenstein" or Hrachovec (in Czech Pea Stone). 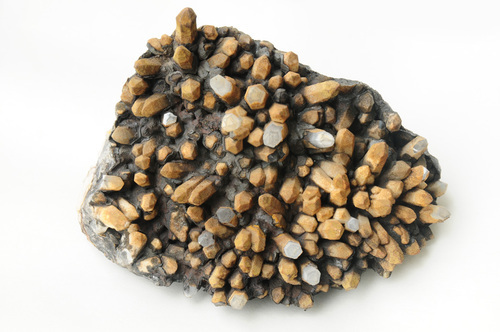 Specimen 8x10 cm, individual pisolites 3-5mm. Collected in world famous spas (Carlsbad) in 1920s. 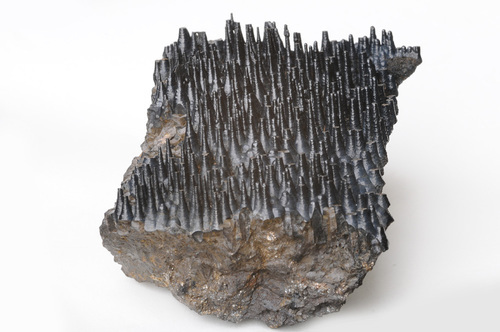 The specimen obtained from high school collection after the geology course was abolished. See details in child photo. 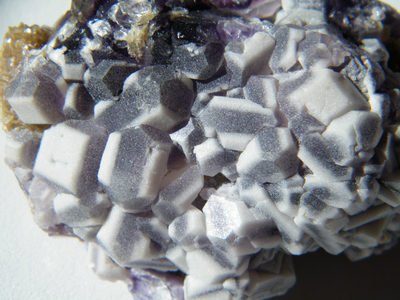 Gypsum, 5cm by 7cm. Joseph Polityka collection from Hans Von Binsbergen, 1988. The inclusions are unknown but I suspect some sort of algae; any suggestions? 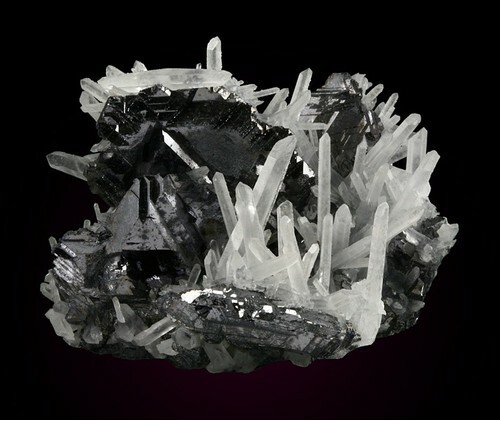 Choice mirror-bright lustrous flattened twinned crystals of galena to 2.9 cm in size are nestled attractively amongst a 5.4 x 5.2 x 3.9 cm crystallized quartz matrix. No damage. The galenas are extremely bright and lustrous making them difficult to photograph. Ex Peter Gillis collection. John Krygier does not currently have any sponsored pages.